In 2013, Martin Pringle expanded into Kansas City, Missouri, with an office located just off the famous Country Club Plaza. This expansion solidified Martin Pringle as a regional law firm with the ability to handle matters efficiently and effectively throughout Kansas and Missouri. 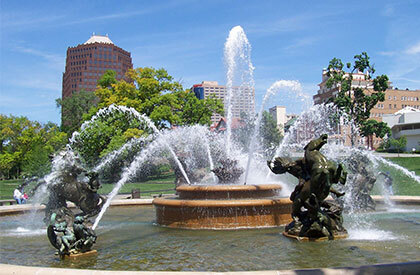 Kansas City, nicknamed the “City of Fountains”, has over 200 fountains and is the largest city in the state of Missouri. Kansas City has an amazing culture scene and of course…fabulous barbecue.